Welcome to Bloomington Lincoln, your Twin Cities area Lincoln dealership. Here at Bloomington Lincoln, we believe the customer comes first. Being a Minneapolis area Lincoln dealer, we offer Lincoln vehicles for sale near Apple Valley and Inver Grove, Minnesota. Our Lincoln Service Department near Minnetonka, Minnesota services both Lincoln and non-Lincoln vehicles; we service all years, makes and models. Bloomington Lincoln has a strong and committed sales staff with many years of experience exceeding our customers' expectations. Our website was designed to with you, our shopper in mind. Whether you are looking for a new 2018 or 2019 Lincoln Continental, Lincoln MKC or Lincoln Navigator in the Twin Cities, or perhaps you are looking to schedule your next Lincoln service appointment, we've got you covered. We also have a great selection of Certified Pre-Owned Lincoln vehicles in the Twin Cities and a great selection of used cars for sale in Bloomington, Minnesota. Bloomington Lincoln has something for everybody, including a great finance department to help get you into the vehicle of your dreams. You can even fill out an online credit application. Bloomington Lincoln is conveniently located on Highway 494 between Penn Ave. and Lyndale Ave. We are the Lincoln dealership near the Richfield Best Buy headquarters and REI. If you are looking for a Lincoln dealer near Apple Valley, Minnesota, we are just 15 minutes north on 35W and 20 minutes West of White Bear Lake, Minnesota on Highway 494 if you are looking for a Lincoln dealership near White Bear Lake, Minnesota. Those in search of a new Lincoln vehicle in St. Louis Park, Edina, Saint Paul and Minneapolis don't need to look any further. Here at our dealership, we have a wide selection of vehicles to choose from, and a team of specialists who have the knowledge and expertise to assist you throughout your car buying experience. If you're in the market for a new car, you know to trust Lincoln. For that reason, Bloomington Lincoln keeps a wide range of new 2019-2020 Lincoln MKZ, MKC, Lincoln MKX, Continental and Navigator vehicles in stock. Be sure to take a look at what we currently have to offer, and be sure to contact us with any questions. Of course, if a test drive is in order, we're more than happy to set one up at your convenience. You don't have to spend a ton of money to drive a high-quality car at Bloomington Lincoln. Instead, you can drive an affordable pre-owned car to enjoy incredible bang for your buck! At such competitive pricing, you'll have the chance to drive a safe and dependable car without exceeding your budget! But it isn't our diverse new and used Lincoln lineup or even our many auto services that set Bloomington Lincoln apart from the rest. It's our unequivocal commitment to the customers we serve from the Edina, Saint Paul and Minneapolis area. 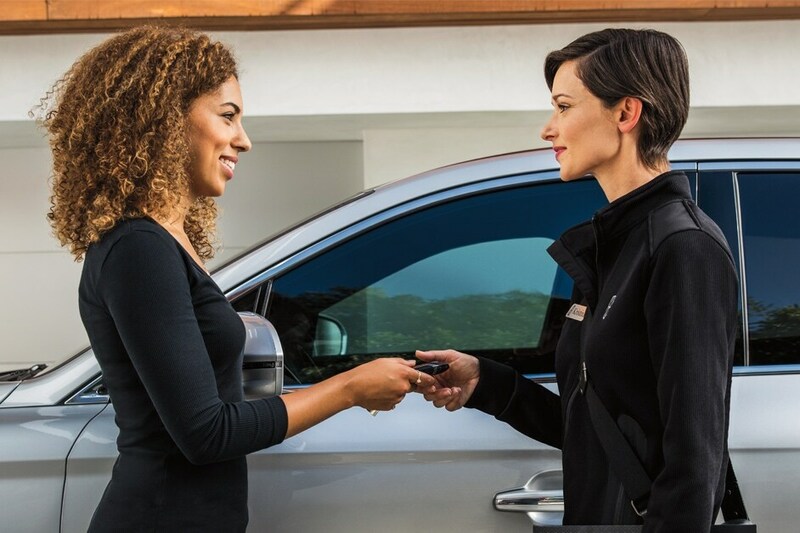 At our dealership, we don't just want you to enjoy your new Lincoln MKZ, MKC, Lincoln MKX, Continental or Navigator, we want you to enjoy the entire experience of buying it. Visit us at 1001 Clover Drive in Bloomington, MN today and let us treat you right.